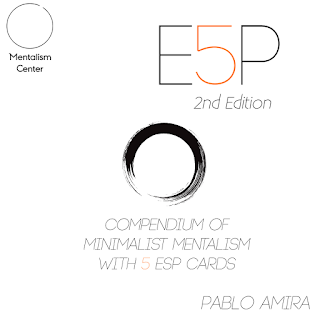 E5P (now in 2nd Edition) is the biggest collection of Minimalist Mentalism with 5 ESP Cards. More than 20 routines, reading system, themes and approaches using your Zener Cards. In this eBook you will find material from my original "5 Miracles with 5 ESP cards", as well as my ESP openers and my further explorations and latest creations with these mysterious and interesting symbols. Classic Experiment in ESP: Your participant is the sender, you the receiver. Simple and powerful. ESP Dowsing: Your participant feels strange thing with a pendulum and 5 ESP Cards, finding a specific one as if a dowser in the desert. Participant as Mindreader Performer: For a strange moment, your participant reads the thought of another person? TOT: Your participant strangely enough completely forgot which symbol he looked at. BelievESP: A thought of ESP symbol is revealed to show how believing is seeing. ESP Dowsing 2.0: Intuitive decisions with a pendulum and the ESP symbols, ending with a complete intuitive matching. ESPrognostication: Hand out your business card predicting always your participant freely chosen decisions. Dimensional Zenner: Direct mindreading with your ESP cards and some billets. Your New Twin: A fun and dynamic presentation regarding Doppelganger. Mindreading and coincidences all in one moment of mental occurrences. Open Prediction 5 ESP: Predict the random order of the 5 ESP symbols in an open manner. ESPendulm Prediction: A new and strange covert “open prediction” routine with 5 ESP cards. Dermovisionist: Let your participant see with his fingertips! Perfect E5P Opener: From a velvet bag you take your 5 ESP Cards. Your participant names ANY of the ESP symbols (NO Forces). From the bag you remove a written business card with the named symbol AND the participant´s name! 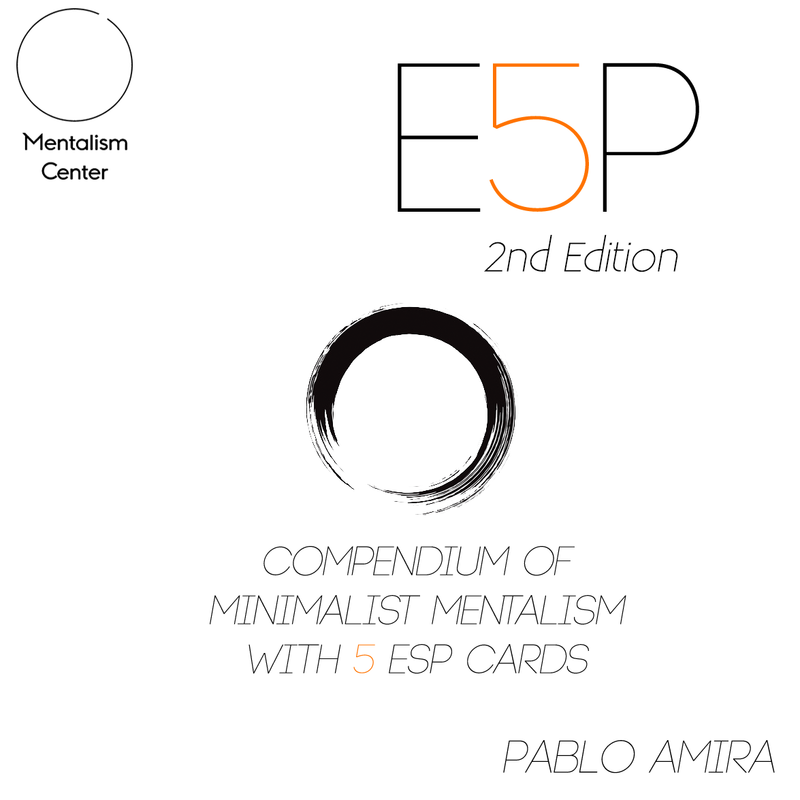 E5Pmancy: A Minimalistic reading approach using your 5 ESP Cards. Picasso Prediction: A beautiful way to predict the freely selected random layout of 5 ESP Cards. Zodiac Rhine: Reveal an unknown Zodiac Sign using your 5 ESP Cards! Wooden Matching: 5 ESP Cards, 5 Wooden Chips and one incredible moment of mind-to-mind connection. Very useful ideas and is definitely worth read . If you like ideas with ESP cards this work is for YOU"
I had the chance to read this work of my friend Pablo, are beautiful constructed routines using ESP cards (and more) a pleasure to read and all the routines are included of presentations idea. A great work not to be missed, good job my friend as always! Pablo has some great subtleties in this eBook. Nice work!